Removal ProcedureDrain the cooling system. 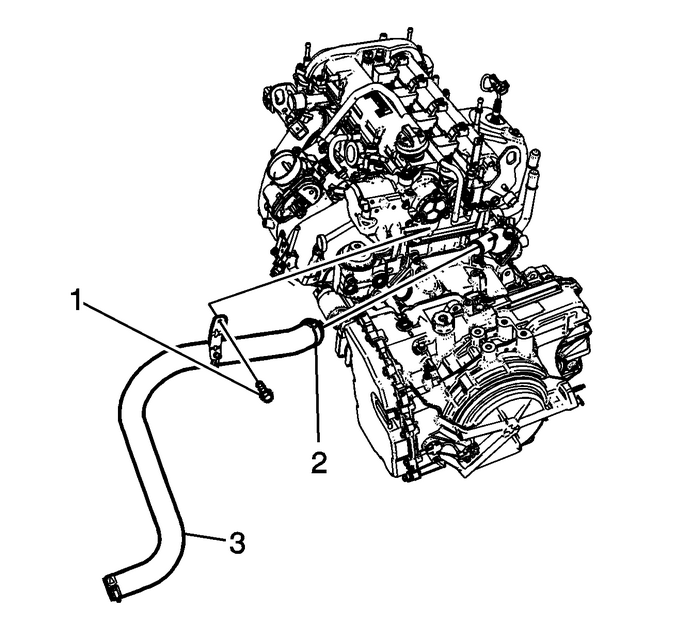 Refer toCooling System Draining and Filling.Raise and support the vehicle. Refer toLifting and Jacking the Vehicle. Disengage tension on the radiator outlet hoseclamp-(1) at the radiator usingJ 38185Hose Clamp Pliers.Remove the radiator outlet hose-(2) from theradiator. Remove radiator outlet hose bracketretainer-(1).Disengage tension on the radiator outlet hoseclamp-(2) at the thermostat housing usingJ 38185Hose Clamp Pliers.Remove the radiator outlet hose-(4) from thethermostat housing.Disengage tension on the radiator outlet hoseclamp-(3) at the engine oil cooler usingJ 38185Hose Clamp Pliers.Remove the radiator outlet hose-(4) from theengine oil cooler.Remove the radiator outlet hose from the vehicle.Installation ProcedureInstall radiator outlet hose to the vehicle. Note:Lubricate the inside diameters of the hose with clean coolantprior to installation. Install the radiator outlet hose-(4) to the engineoil cooler.Engage tension on the radiator outlet hoseclamp-(3) at the engine oil cooler usingJ 38185Hose Clamp Pliers.Install the radiator outlet hose-(4) to thethermostat housing.Engage tension on the radiator outlet hoseclamp-(2) at the thermostat housing usingJ 38185Hose Clamp Pliers.Install radiator outlet hose bracketretainer-(1). 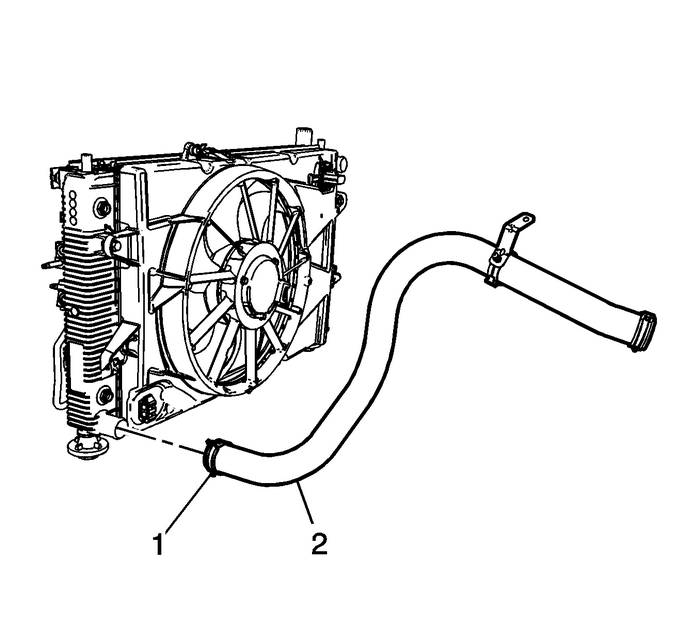 Install the radiator outlet hose-(2) to theradiator.Engage tension on the radiator outlet hoseclamp-(1) at the radiator usingJ 38185Hose Clamp Pliers.Lower the vehicle.Fill the cooling system. Refer toCooling System Draining and Filling.